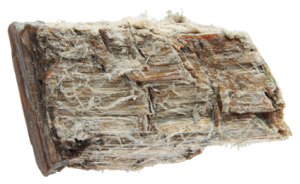 A homeowner in South Australia working on their own property can remove asbestos themselves….. the question is why would you want too? If you give yourself a nasty cut technically you can stitch yourself up but no one in their right mind would!! Risks of infection, disease and complications FAR OUTWEIGH any cost benefit right? Such is the case with asbestos removal. Just like surgery, asbestos removal is a profession that requires formal training and specialised equipment to enable an operator to remove asbestos containing materials safely and in accordance with the law. There is also the issue of transporting and disposing of a “listed waste”. Asbestos removal is not something you want to get wrong and find out later that you didn’t have the right information or equipment to do the job properly. Make a wrong choice and you can easily contaminate your own home, the same home you share with your family. If you do contaminate your living space how do you then rectify it? Where do you stay while the clean-up takes place? Decontamination if extensive can sometime mean removing soft floor coverings like rugs or carpet, curtains or blinds and so on. Quickly those costs alone are going to add up to more than having a specialist like South Adelaide Asbestos Removal do it properly the first time. The homeowner is still subject to the same Codes of Practice that govern tradesman. Likewise if a complaint is lodged you can end up in Safework SA’s crosshairs and be held accountable and possibly face fines or prosecution for serious breaches. When speaking to clients my stock answer is simple, if you are worried about it and you can cover the cost then why not pay to have it done – leaving a trained removalist like South Adelaide Asbestos Removal in control and responsible come what may. The result is peace of mind that your asbestos removal was undertaken safely and lawfully and that your home has been left clean, safe and asbestos free.